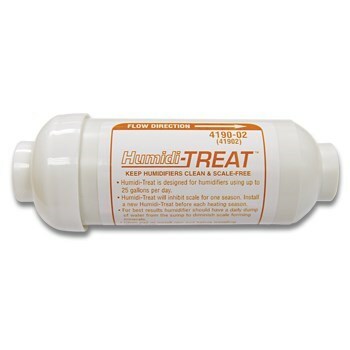 Keep humidifiers clean and scale free with Humidi-Pro. Inhibits scale for one season. Install on the water line that supplies water directly to the humidifier.